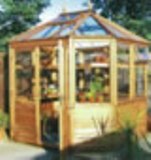 Tanalised or Cedar Greenhouse potting shed. 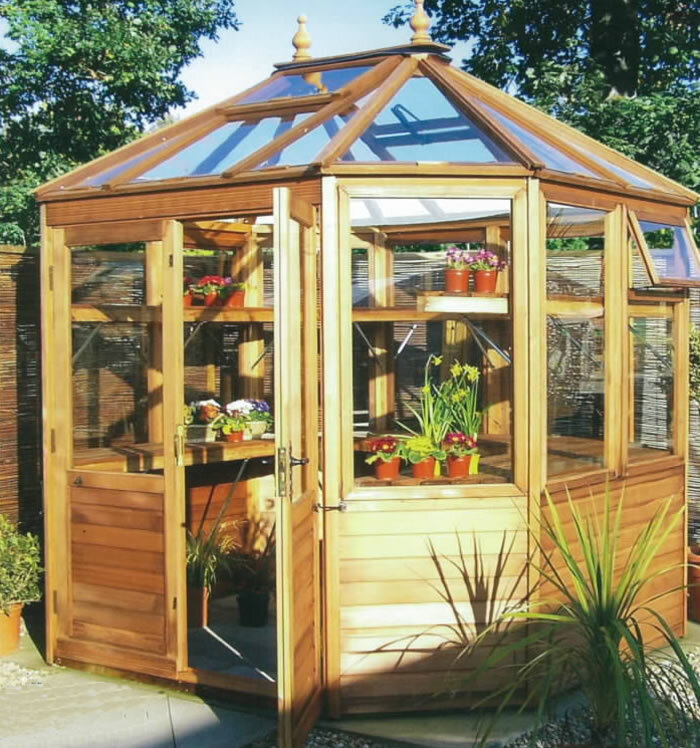 The Sun top is a very high quality wooden greenhouse. 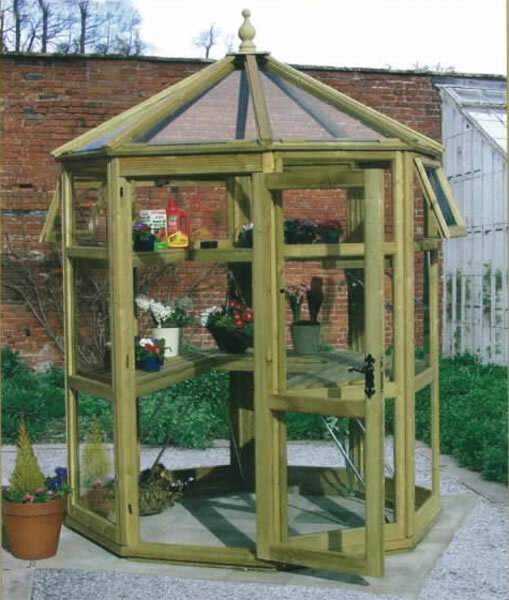 Octagonal in shape it is available in 4 size options all with a 10 year guarantee against decay. Several other options are also available such as wooden floor and all round staging.